Our communities are built on the success of our infrastructure. When something fails, we are all impacted – whether that infrastructure is a road, a bridge, power plant, or utility pole. 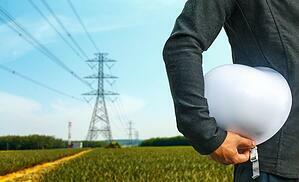 Many people pass through their days unaware of the complex utility infrastructure surrounding them. The poles are part of the landscape, blending into the background; conduit sits underground, out of sight. Infrastructure is hardly noticeable--until something goes wrong. Your neighbor works as a lineman for the local cable company. High in the air, above a concrete sidewalk and passing cars, he struggles to climb over improperly placed wires. While touring several new shops that recently opened on Main Street, citizens frown at the messy tangle of lines and double poles, some leaning and others showing years of wear. Across the street from your house, a contractor shimmies up a pole, quickly adding fiber that hasn’t been approved to be attached. The company he works for submitted an attachment request six months prior, and eventually got tired of waiting. These types of situations happen across the nation frequently. Often the asset owner doesn’t know there are illegal attachments or occupants. Regardless, problems with utility infrastructure causes asset owners to face poor public relations, fines from regulators, and damaged relationships with attaching companies or anyone else involved with the asset. To better serve our communities, our neighbors, our colleagues--we need better tools to manage internal and field assets, especially joint use assets. Many of these problems can be resolved simply by improving communication between all parties. We all work better when we work together. When a field technician notes a problem with a utility pole, for example, imagine that he or she could log the latitude and longitude of the issue along with a photo of the problem and detailed notes. This information would be immediately accessible to the asset owner and respective attachers, so that the next person scheduled to be in the field could be prepared to resolve the problem. All relevant parties could also be made aware of any potential safety risks. A tool that enables this kind of data sharing must offer stringent security measures and layers of permission controls. When users are confident in their data’s security, the opportunity for business gains and reduced waste (in terms of both time and spend) are significant. Moving the infrastructure processes (such as attachment permitting, equipment transfer, or make-ready) into a shared database means all sides can have equal visibility of the project status and timeline. The asset owner knows exactly when any request comes in, and when a response is due. Attachers can track the response deadline, and receive notifications when the review period is over to prompt follow-up actions. By centralizing communications related to joint use asset management, all parties have greater accountability due to the newly transparent nature of their interactions. There’s no risk of a paper application being lost in the mail, or being misplaced among a stack of paperwork on someone’s desk. This accountability means work gets done more efficiently and effectively, eliminating the paper trail and email chains all together. We are all responsible to each other (and all joint use partners) to ensure that our customers, workers, and communities have reliable and safe utility infrastructure. One simple way to help build better communities through better infrastructure is to use a shared, centralized asset database. Download “5 Requirements of a Centralized Asset Database for Infrastructure Management” to learn more about how this technology can help you build better communities through better infrastructure.